We love Questions! Questioning is a method of learning and we love learning new things. Let’s throw some Frequently Asked Questions out there and share some knowledge. New items will be added periodically, so feel free to visit this page as often as you want. If you have a question that is not here, contact staceywalker@augustcrossfit.com. Why should I become a member of a CrossFit gym? I can do those workouts anywhere, right? My current gym has a personal trainer on staff. Can I use him/her? Of course you can, but since CrossFit is a trademark, your personal trainer can not use CrossFit to describe their programming unless they are a CrossFit Level 1 Certificate holder or higher AND are working at a registered affiliate. This should be important to everyone looking into CrossFit, since this ensures that you are working with a trainer who has undergone the training and passed the written and practical testing in order to earn the privilege of training you. Your health, fitness, and safety should be the number one priority for you and your trainer. 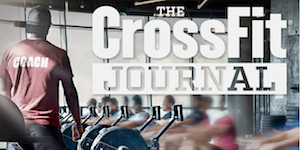 How is August CrossFit different from other local CrossFit gyms? August CrossFit is a small garage-gym, which means that the gym is in the owner’s garage (vehicles are parked outside and the entire space becomes a gym), while the other local gyms are dedicated use facilities. The garage-gym has all of the same equipment as the dedicated use facilities, just in different quantities. ALL classes at August CrossFit have a high trainer to athlete ratio. This affords us the opportunity to have a relentless FOCUS on QUALITY over QUANTITY. We have and will always put your safety, health, and fitness as priority one. How can I get daily updates sent to me? It super easy, my friends. In your web browser as you the August CrossFit website, click the “+Follow” link towards the bottom. Follow the steps to enter your email address. You are all set. Our update blogs and daily WODs will now be in your email inbox daily. I am not a member? Can I still workout with you guys? Are you an active crossfitter at another affiliate? Yes-Of course you can! Contact Coach Stacey for class times. No-Contact Coach Stacey. Depending upon your current fitness level and requested class time, accommodations may be possible. Either way, we have Drop-in Rates and Punch Cards for those who want to come join us for a class or a few. Email Coach Stacey for open classes at staceywalker@augustcrossfit.com. I am a member and I want to bring a friend/family/loved one to work out with me. Can they workout with me? Occasionally, August CrossFit may offer ‘Bring A Buddy Day’. Other than those special days, contact Coach Stacey to discuss.